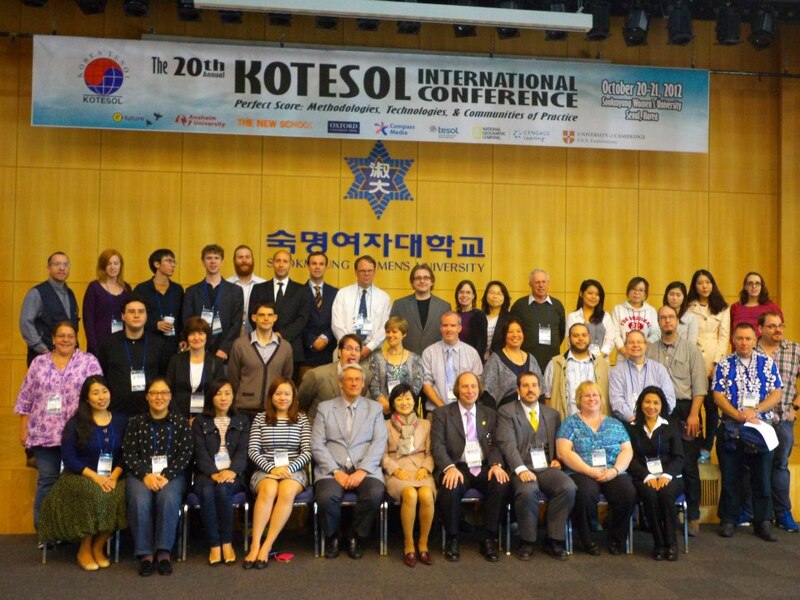 After seeing my work on the Jeonju-North Jeolla KOTESOL 2012 Regional Conference Poster, Phil Owen, the 2012 Conference Chair, asked me to consider doing the poster design for the 20th Annual International Conference. “I’d love to,” I said. The first concept given to me was by Dave Shaffer, the Publications Committee Chair. The penrose triangle does kind of get at the idea I was trying to get at — reminds me of an Eischer exhibit I once saw. 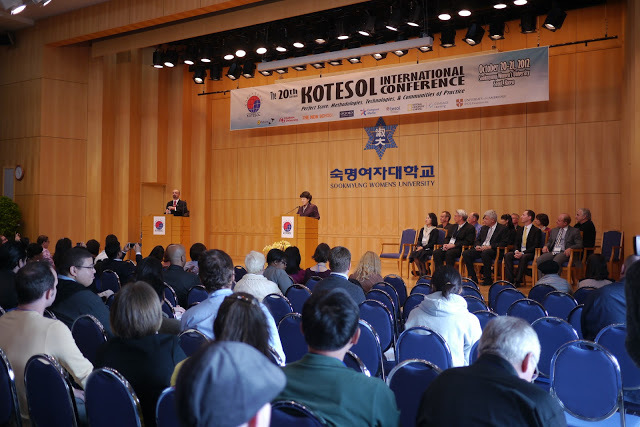 [Methodologies, Technologies, and Communities of Practice – the Conference Title – are three sides of teaching that are necessary and interact with one another. The dragon image was included because 2012 was the Year of the Dragon. For inspiration, I was encouraged to take a look at previous Conference posters. As you can see, most of them follow a very similar design pattern. So, I wanted to create something totally unique. Uses a Penrose-inspired font called FRUSTRO. 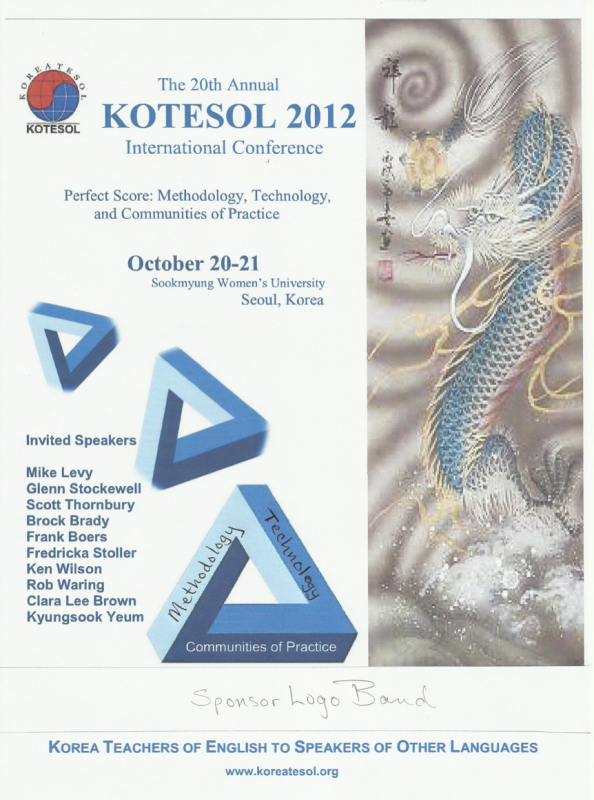 Focuses on the “Perfect Score” of 100 points. Incorporates the Penrose triangle and a Korean pattern. 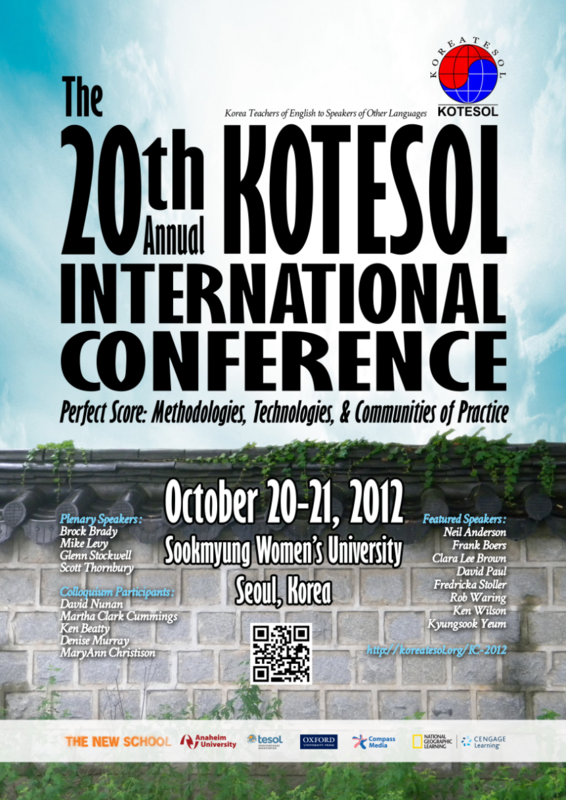 I was told the focus of the poster should be on “The 20th Annual KOTESOL International Conference” and not so much on the theme itself. So I redesigned the Conference Title. We also agreed that a traditional Korean wall from Jeonju’s Hanok Village (English) would be a good image to include – keeping things visually interesting and simple enough to add tons of text to. Here is the final design in printed form. 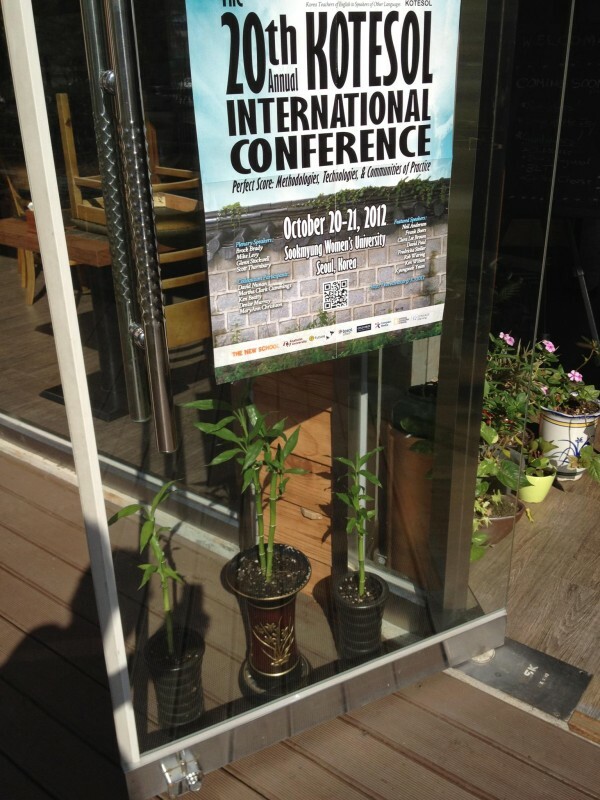 Note: I didn’t design the banner, but included it to show how my design was used by the printing company in Seoul that printed all the materials.